Owning a sump pump helps to eliminate the headaches of basement flooding by providing a means to automatically remove water as it enters your home. Despite a fairly simple design, pumps may still malfunction. Failure to shut off can shorten the lifespan of your sump pump and raise your electricity bill. But just what causes a pump to keep running, and how do you fix it? Before attempting to locate the malfunction, it is important to understand how sump pumps are designed to work. There are two major types of sump pumps. While the overall functionality is the same, there are specific differences, especially in how the pumps are activated. The starting point of any sump pump is the sump pan. This is simply a lined pit, tank, or pan which collects water. The pump is placed directly into the tank and activates automatically. While sump pumps are usually hardwired into your home’s electrical supply, most also have an emergency power supply. In the event a major storm knocks out power, the pump draws power from a large battery, allowing the system to perform its duty. This form of pump uses a float, much like the float in your toilet tank. The motor is atop a small pedestal, and a pipe leads to the bottom of the sump tank. A rod connects the float to a power switch. As the water level rises, it lifts the float. Once the float reaches a certain height, it toggles the switch, activating your pump. Water is then drawn upwards through the pipe into another pipe or hose leading to your sewer or septic system. As the water level drops, so does the float, shutting off the motor. Unlike pedestal pumps, the motor on a submersible pump can be submerged. The bottom contains a filter which protects the pump’s impeller from gravel and other small debris. In many cases, submersible pumps have a hard plastic bubble surrounding their switch which functions the same as a float on pedestal pumps. Water is pulled directly through the impeller to a pipe leading to your waste system. Once water has been pulled from the pit or sump pan through the impeller, it is forced past a check valve into a vertical pipe. This pipe may hold a gallon of water for every ten feet and is generally one point five inches in diameter. As your sump pump is located below the basement floor, these pipes may often be several feet in length before reaching either the exterior of your home or your sewer or septic system. It is common for as much as two thirds of the pumped water to remain in the pipeline once your sump pump shuts off. 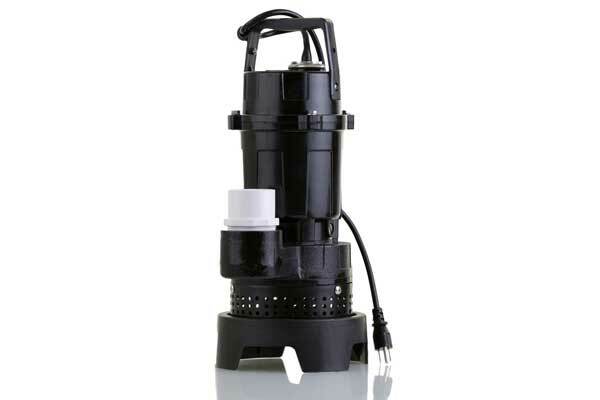 Due to the relatively simple design of sump pumps, they are often inexpensive to repair. There are several possible reasons for your pump to continue running. Failing to address the problem may shorten your pump’s lifespan, requiring you to replace the entire pump. Sump pumps are designed to shut off automatically when they have finished. The check valve is an important component which prevents water from returning to the pan when the pump deactivates. 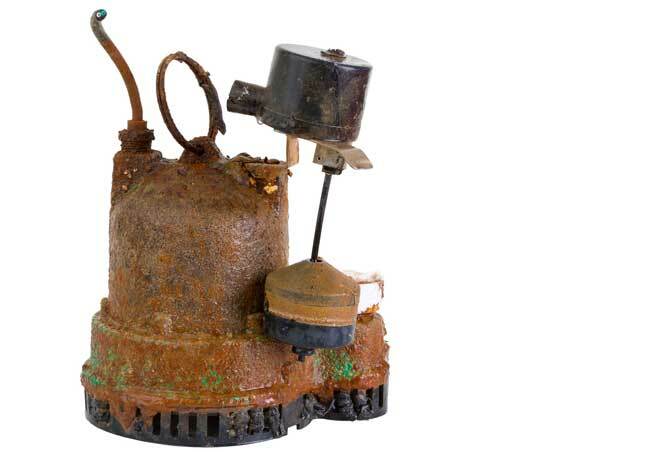 If your pump lacks a working check valve, anywhere from one-third to two-thirds of the pumped water will fall back into the sump pan as soon as the motor deactivates, causing it to reactivate. Common signs of a check valve problem are the visible lack of a valve or frequent stopping and restarting of the motor. Perhaps the most important component of a sump pump, the impeller creates suction which siphons water from the sump pan. Sand, grit and other debris can wear away the vanes, especially in pedestal pumps. Some models have metal vanes which are prone to corrosion. Due to its importance, a damaged impeller generally means the entire pump must be replaced. One of the causes of a constantly running or frequently restarting pump is improper sizing. When the pan liner is too small, the pump will often empty the pan faster than it can fill, causing the motor to repeatedly stop and restart. Conversely, if the pump is too small, it will run non-stop, unable to remove the water faster than it enters the pan. In both cases, the best solution is to replace the component with one properly sized for the job. A jammed switch may happen for a number of reasons such as clogging or tangling. Vibrations from extended use have also been known to make the unit begin to tilt, affecting the switch. In such cases, it is best to seek professional repair. Sometimes natural groundwater may be causing your pump to work nonstop. Generally, sump pumps are placed below the basement floor to prevent flooding. In some cases, it may have been placed low enough to be affected by the local water table. If the water table level is not the temporary result of recent storms, raising the pump to a higher position that will still protect your basement is the primary solution. Adding a backup or temporary pump to your existing one will help if the table is abnormally high due to storms or outside pipeline or sewer damage. Home Advisor estimates the average cost of professional pump repair to be between $287 and $650. CostHelper gives a similar estimate of $200 to $600 for replacing the basin and pump with a similar model. How Stuff Works provides a comprehensive online guide to how sump pumps function.